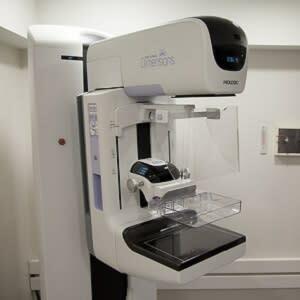 Mammography and digital breast tomosynthesis (DBT) acquisitions may be possible using half of the compression force used currently, with a significant reduction in perceived pain with no clinically significant change in breast thickness and tissue coverage, according to new research published in the American Journal of Roentgenology. Previous studies have shown that pain associated with breast compression is a significant cause for low compliance with screening mammography guidelines. 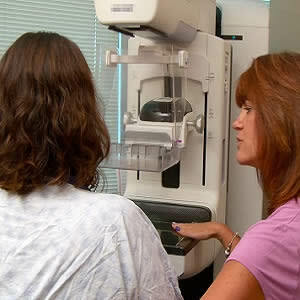 DBT is replacing standard 2D mammography for cancer screening in many institutions in the United States. 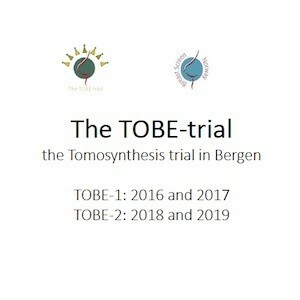 Studies of DBT and its potential to perform breast imaging with reduced breast compression have shown promising results without implementation of special acquisition techniques or image processing. This reduction in compression, if it results in a reduction in pain, could increase screening compliance. To address this issue, researchers planned a two-part study to determine the limit of compression reduction in mammography and DBT in both craniocaudal (CC) and mediolateral oblique (MLO) views and their impact on perceived pain. Researchers recruited two groups of women with prior mammograms for this two-part study. In part 1, subjects were positioned for CC and MLO views, and four levels of compression force were applied to evaluate changes in breast thickness, perceived pain, and relative tissue coverage. No imaging was performed. In part 2, two MLO DBT images of one breast of each patient were acquired at standard and reduced compression. Blurring artefacts and tissue coverage were judged by three breast imaging radiologists, and compression force, breast thickness, relative tissue coverage, and perceived pain were recorded. According to the research team, only the first reduction in force was feasible because further reduction resulted in inadequate breast immobilisation. Mean force reductions of 48% and 47% for the CC and MLO views, respectively, resulted in a significantly reduced perceived pain level, whereas the thickness of the compressed breast increased by 0.02 cm (CC view) and 0.09 (MLO view, part 1 of the study) and 0.38 cm (MLO view, part 2 of the study), respectively, with no change in tissue coverage or increase in motion blurring. A limitation of this study is that a single technologist performed all compressions at a single site with a single imaging system, although this configuration reduces the variability in image acquisition technique. "Our findings can be used when training technologists to show that a significantly lesser amount of compression force may be sufficient for adequate tissue coverage and image quality," the authors wrote. They also highlighted that compression was reduced only after achieving standard compression, which is not a feasible method to achieve pain reduction.